Beautifully animated, fantastic colors in the movie, and a much better story than the original work. A happy ending that we don’t get in the Hans Christian Anderson. 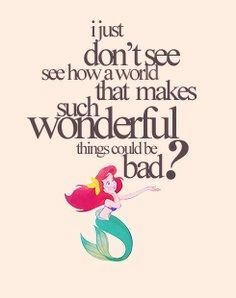 Here is the plot…In Disney’s beguiling animated romp, rebellious 16-year-old mermaid Ariel (Jodi Benson) is fascinated with life on land. On one of her visits to the surface, which are forbidden by her controlling father, King Triton, she falls for a human prince. Determined to be with her new love, Ariel makes a dangerous deal with the sea witch Ursula (Pat Carroll) to become human for three days. But when plans go awry for the star-crossed lovers, the king must make the ultimate sacrifice for his daughter. Well that’s all for today, see you next week for Star Trek V: The Final Frontier. Happy Listening! Music is wonderful but the lyrics are just sublime. Love this soundtrack and looking forward to Star Trek V – another personal favourite! What does God need with a starship?